Halloween special – the scariest jobs in the world? Previous post: Are there any international mentors available? Teaching, Investment banking, Telesales, Pathologist, Funeral director/embalmer, Events manager, Security /Armed services, Live TV presenter, Crane Driver, Bomb disposal operative, Brain surgeon, Airline Pilot, Tree surgeon, Finance officer, Dry cleaner, Politician on TV, Mud logger, Entomologist, Dentist. To be fair there are lots of jobs I simply wouldn’t do, some of them are in this list. I can see from this list some phobias and fear of personal injury, but also issues about causing harm to others or the global economy! It’s funny isn’t it that some peoples dream job is another persons nightmare. So why do some things appeal to you and others have you running screaming from the building? Sometimes if we are familiar with something we can reason why we would, or would not want to do it. If you ask most people if they want to teach they will be fairly definite one way or the other. But what about things you have never tried, how do you know if you would like them? Getting a placement, part time job, voluntary work or some work shadowing can help you find out the realities of a job. Mentors are great for this, if you applied for the Manchester Gold mentoring scheme you should be finding out soon if you have been matched and who your mentor is. Why not ask your mentor what the scariest or most challenging thing about their job is? If you missed the mentoring scheme it’s not too late we are running a spring programme this year too or why not try the online Q&A service. Write down your loves and hates from your previous experience. Scared of standing up in front of large groups and talking – teaching / lecturing & acting may be challenging for you. Faint at the sight of blood, not keen on disease? Then healthcare and related areas are off the list. Like or loathe the feeling of being under pressure and having everyone relying on you? Need a 9-5 job or relish the challenge of working long hours and the financial rewards that come with that? It’s all about work life balance. Love being outdoors whatever the weather? Jobs in sport, environment, surveying and construction and plenty more could fill this brief. Why not find out what jobs would be least scary for you by using something like prospects planner, it will recommend some jobs that would suit your likes and dislikes and you can find out more about the routes in and some of the realities about working in those areas through the case studies. 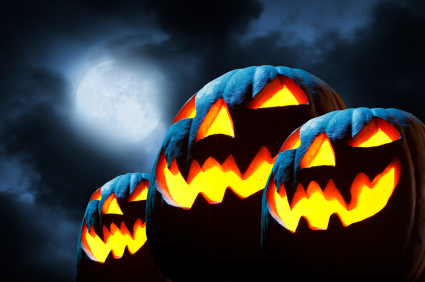 Why not check out some of the scary jobs on our list and see if you are up to the challenge! You can use all this information when talking to a Careers Consultant in a careers guidance appointment. Sometimes the scariest thing is getting started!